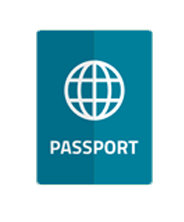 Passport is an essential requirement for any citizen in any country that enables him/her to travel all around the world without any limitations. We are one of the top passport agents in the region that offer passport consultancy services throughout the Mysore region. Our team consists of accomplished experts who provide you the complete details of documentation and formalities that are required. Our legal team of professionals helps you in the process of documentation of passport-related applications. If you are looking forward to getting a hassle-free passport, then make an online appointment with us and see the results yourselves. it is necessary to have it when travelling to other countries. A standard passport contains all the basic information of the person such as the holder’s name, place and date of birth, signature, photograph, date of issue, date of expiry and all the other identifying information. Almost all the countries of the world allow the passport holders to enter their territory, although there are exceptions in some countries. A passport holder can travel as many times as needed subject to the entries in the document. • Regular Passport: Also called as the Tourist Passport, this is the most common type of passports given to the citizens as well as other nationals. • Family Passport: These are issued to the entire family members. One primary passport holder of the family can travel alone or with other members included in the document. However, a family member who is not included in the family passport will not be eligible to travel without the passport. • Official Passport: Commonly known as Service Passport, it is issued to government employees to accommodate work-related travel with their accompanying dependant family members. • Collective Passport: It is issued to a particular group to facilitate traveling together. These types of passports are mostly useful for students on a school trip. • Emergency Passport: These passports are issued when the person has their passport stolen or lost without any time for replacement. It is also called as Temporary Passport.